What is the value of the tropical rainforest? Here Is The Winning Response Which Was Sent To The Board Well Done Ruth And Intisar. The Rest Of The Responses Can Be Found On The File attached below it. The Brazilian government should have the right to exploit the rainforest as a resource, but only to a certain extent. The Brazilian government should be careful while extracting these raw materials from the rainforest. They should have a sustainable process that would not cause too much damage to the environment. The government would need these materials as it would develop their industry and it would provide jobs for the local people. Brazil would be able to increase and improve their economy as well as gain resources that are cheaper than importing them. These raw materials that are extracted can then be items used in trades which would gain the Brazilian government other materials from other companies. However, if the Brazilian government does not be careful with the amount of raw materials they extract, they would lose large parts of the rainforest and cause deforestation. This could have very negative effects on the rest of the world such as oxygen and co2 levels. The rainforest is being destroyed for uses such as logging, cattle ranching, agriculture-shifted cultivators, agricultures-cash crops, fuelwood, large dams, mining, colonisation schemes and tourism. Due to all of the deforestation that has been happening within the rain forests, the natural way of balancing the carbon dioxide levels in the atmosphere has been ruined. If the Brazilian government decides to cut the trees down for timber, the natural process of photosynthesis would not occur, which would then cause the CO2 levels in the atmosphere to increase. 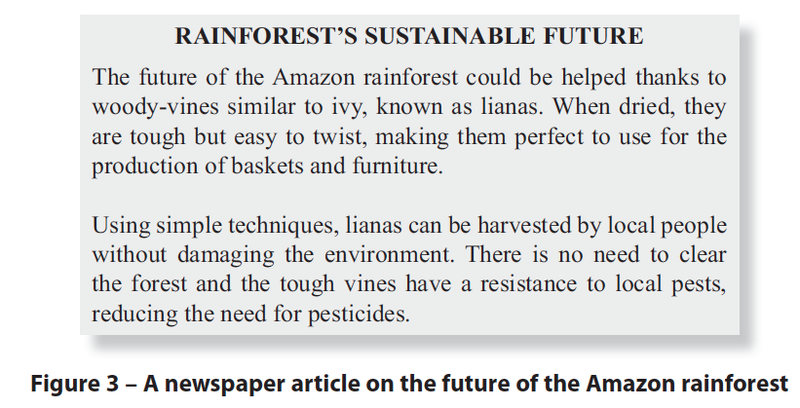 To help prevent deforestation you should use sustainable harvesting. Sustainable, non-destructive harvesting of the riches contained in the rainforests of the world is vital to the on-going health of our world and is truly the answer. Not only is it environmentally sound, but sustainable harvesting of rainforest plants makes more economic sense than the alternatives. It is estimated that sustainable harvesting of one acre of Peruvian Amazon rainforest can produce over $2400 annually. In contrast, clear-cutting for timber nets only $400 per acre and cattle grazing earns only $60 per acre. The only solution is to offer these countries real and viable alternative methods and markets of exploiting their resources in sustainable programs which will enable them to protect their resources for future generations and for long-term profits and gains. The rainforest actually produces a wealth of renewable and sustainable resources - not just timber. These include important medicinal plants used for centuries by rainforest inhabitants, nuts, fruits, oils, fibers, and other resources like chocolate, rubber and chicle. 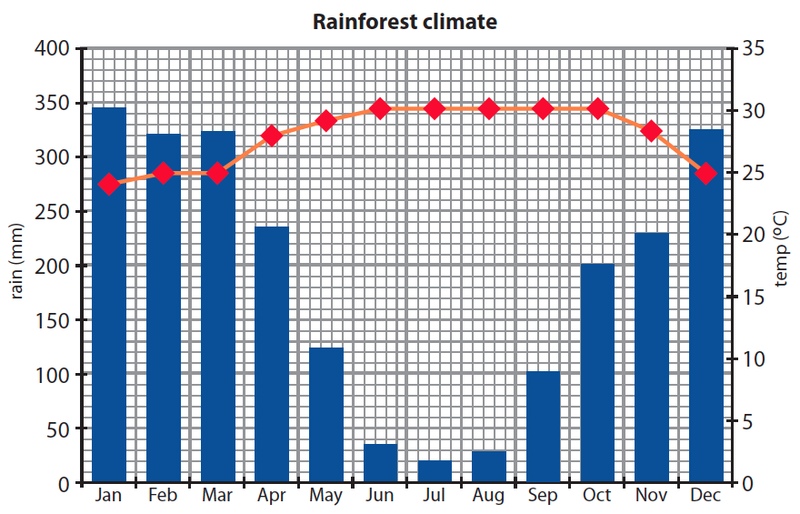 What Impacts Are We Having On The Tropical Rainforest? Below Is A Link To Our Web Based Enquiry Which We Will Be Completing To Investigate The Impact We Are Having On The Tropical Rainforest. Here Are The Exam Questions Which Are The Homework Due On 30th Of January. Hint; two marks = two points go for the general pattern and some data to back it up. Harder; investigate the climate for other biomes and compare the climate. Hint; You have studied the Tropical rainforest and this provides an easy answer. Hint; you will need to define sustainability. Hint; local means specific to that location. Flooding of Thomas Tallis school by the Kid brook would be local scale whereas if flooding was affecting the whole of the UK it would be on a national scale. How can we manage the Tropical rainforest?